The Indian Air Force (IAF) has gifted a Dakota aircraft from its museum to the Bangladesh Air Force (BAF) following a formal request. This is also to further strengthen historical ties between neighbours, the IAF said in a media release on Thursday. 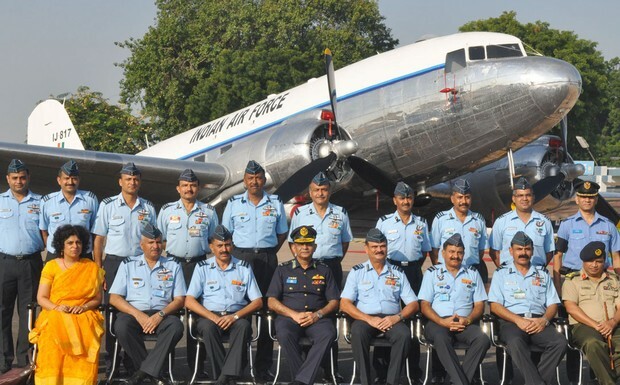 Air Marshal SS Soman, air officer commanding-in-chief Western Air Command, handed over the aircraft, the military version of the Douglas DC-3, to the visiting Bangladesh Air Marshal Muhammad Enamul Bari in a befitting ceremony at Air Force Station Palam. The IAF says the Dakota has played a sterling role in the history of the Indian Air Force. For the complete story by bdnews24.com, click here.